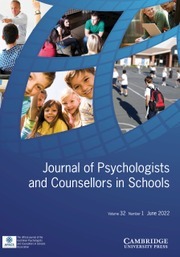 Contributors to the Journal of Psychologists and Counsellors in Schools are from diverse backgrounds and focus on both educational and psychological topics. Articles address theoretical, practical and training issues that impact upon guidance and counselling professionals today. Cyber Bullying: An Old Problem in a New Guise?